Except to say that him and Billy Joel together on “Baby Grand” is smoky bar music at its best. Bested even Sinatra’s melancholy bar music in my book. Love this version of “I Gotta Woman,” too. And speaking of Baptists . . .
We’re very Baptist-friendly here, although, I wouldn’t want to be a Baptist Christian, thank you, nor anything but a United Methodist Christian. But we’re all-religions-friendly here at JFJ.com, the blog that is saving the world with its wit, wisdom, provocations and stimulations while possibly (probably!) alienating whole towns, cities, states and nations. . . . I was at a seminar yesterday in which Dr. Jim Denison, who heads the Center For Informed Faith, gave a lecture to chaplains and other hospital caregivers. It was the blunder heard ’round the world. Campaigning yesterday, British Prime Minister Gordon Brown told aides that a lady who asked him hard questions about immigration was a “bigoted woman.” He didn’t know his microphone was live, or that today’s New York Times and other news outlets would give his mistake global coverage. Now the woman he insulted may hold his political career in her hands. What should she do? What should you do when someone hurts you today? Yesterday we explored Jesus’ warning, “I tell you that anyone who is angry with his brother will be subject to judgment” (Matthew 5:22). We learned that the anger Jesus teaches us to reject is not angry emotion (thumos in the Greek) but the decision to continue being angry (orge in the Greek), to choose vengeance rather than forgiveness. Biblical forgiveness is the decision to pardon. It is not pretending that you were not hurt, or excusing the behavior which hurt you, or trying to forget that the offense happened. To pardon is to choose not to punish, as when a governor pardons a criminal. She does not pretend the crime did not occur, excuse the behavior, or forget the offense. She chooses not to inflict the punishment which the law allows. As you know, our culture authorizes revenge. If they lie about you, you are justified in lying about them. If they gossip about you, or slander you, or hurt you in another way, you can hurt them in the same way. Jesus teaches just the opposite: choose to pardon those who have hurt you. No matter what they have done to you. How do we handle our anger in this way? 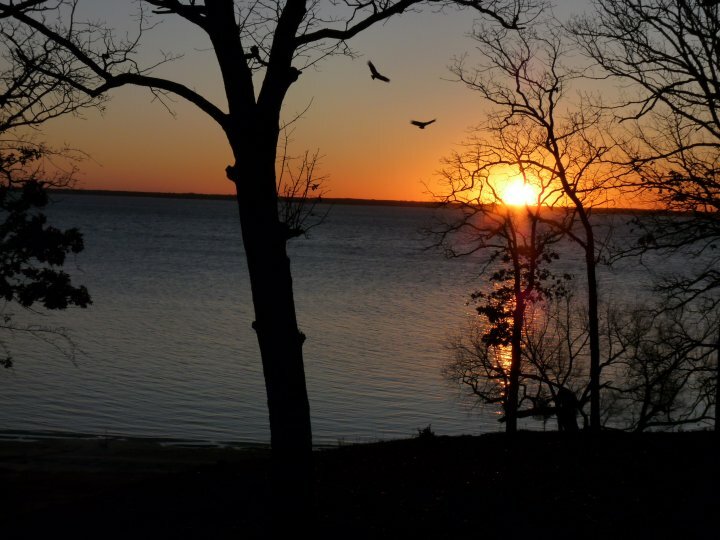 First, act on your anger immediately, before it takes root in your soul: “Do not let the sun go down while you are still angry, and do not give the devil a foothold” (Ephesians 4:26-27). Deal with this infection before it spreads. Admit it, and give it to God. Second, guard your tongue, especially while you are angry: “If anyone considers himself religious and yet does not keep a tight rein on his tongue, he deceives himself and his religion is worthless” (James 1:26). What we say shows who we are. The Didache is the oldest theological document outside the New Testament. It gives us good advice: “Love those that hate you, and you will have no enemy” (1:3). Ask God’s help, and it will be yours. With whom do you need to start your circle today? *Dr. Jim Denison pastored Park Cities Baptist Church in Dallas, Texas for ten years prior to founding the Center for Informed Faith. Previously, he has pastored churches in Midland and Mansfield, Texas, and Atlanta, Georgia. In addition to being the president of the Center for Informed Faith, Denison serves as Theologian in Residence for the Baptist General Convention of Texas. He has taught Ph.D. seminars and graduate level classes for Dallas Baptist University. He has also served as a teaching fellow for the B.H. Carroll Theological Institute, and on its Board of Governors. Dr. Denison has also taught at Southwestern Baptist Theological Seminary and Mercer University School of Theology, and has served on the boards of Truett Theological Seminary, Center for Christian Ethics of Baylor University, and DBU. Wrestling with God: How Can I Love a God I’m Not Sure I Can Trust? Dr. Denison has done extensive work in apologetics, philosophy and cultural studies. His weekly Sunday school commentaries are used by the Baptist General Convention of Texas and Baptistway Press as an online teaching tool. His daily devotional, “GodIssues: Today’s news in spiritual perspective” is made available across the world to more than 14,000 readers. He and his wife, Janet, have two sons. Few books have the staying power of To Kill A Mockingbird–and few movies for that matter. And certainly few books that are required reading in every school in the country have the power to captivate teens who otherwise hate to read required books. Remember how knocked out you were when you read it in 7th or 8th or was it 9th grade? (I gave a book report on it, a book that, like Huck Finn, changed my life forever with its powerful messages and morals.) And remember how knocked out you were the first time you saw the movie with Gregory Peck’s incredible portrayal of Atticus Finch and a very young unknown actor named Robert Duvall as Boo Radley? Harper Lee, a near recluse of a writer but by all accounts one of the happiest women alive, had another birthday yesterday. Nelle Harper Lee was born on April 28, 1926 in Monroeville Alabama, a city of about 7,000 people in Monroe County. Monroeville is in southwest Alabama, about halfway between Montgomery and Mobile. She is the youngest of four children of Amasa Coleman Lee and Frances Finch Lee. Harper Lee attended Huntingdon College 1944-45, studied law at the University of Alabama 1945-49, and studied one year at Oxford University. In the 1950s she worked as a reservation clerk with Eastern Air Lines and BOAC in New York City. In order to concentrate on writing, Harper Lee gave up her position with the airline and moved into a cold-water apartment with makeshift furniture. Her father’s sudden illness forced her to divide her time between New York and Monroeville, a practice she has continued. In 1957 Miss Lee submitted the manuscript of her novel to the J. B. Lippincott Company. She was told that her novel consisted of a series of short stories strung together, and she was urged to rewrite it. 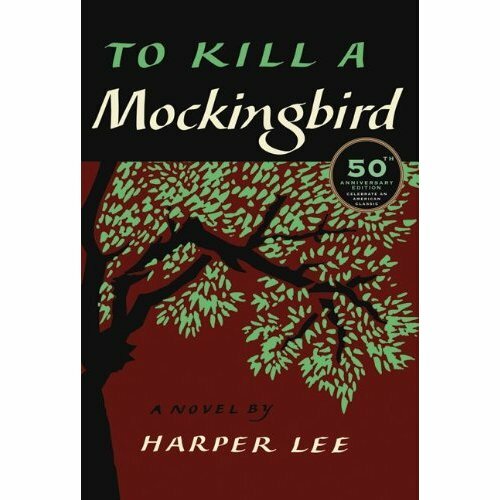 For the next two and a half years she reworked the manuscript with the help of her editor, Tay Hohoff, and in 1960 TO KILL A MOCKINGBIRD was published, her only published book. In 1961 she had two articles published: “Love – In Other Words” in Vogue, and “Christmas To Me” in McCall’s. “Christmas To Me” is the story of Harper Lee receiving the gift of a year’s time for writing from friends. “When Children Discover America” was published in McCall’s in 1965. In June of 1966, Harper Lee was one of two people named by President Johnson to the National Council of Arts. Also named to the 26 member council was artist Richard Diebenkorn Jr. There has not been as much published on the doings of Miss Lee since 1966. — Harper Lee was born on April 28, 1926 in Monroeville Alabama. — Lee was the youngest of four children born to Amasa Coleman Lee and Frances Finch Lee. — She attended Huntingdon College 1944-45, studied law at the University of Alabama 1945-49, and studied one year at Oxford University. — In the 1950s she worked as a reservation clerk with Eastern Air Lines and BOAC in New York City. — In 1957 Lee submitted the manuscript of her novel to the J. B. Lippincott Company. — In 1960 TO KILL A MOCKINGBIRD, Lee’s only book, was published. — In 1961 she had two articles published: “Love — In Other Words” in Vogue, and “Christmas To Me” in McCalls. — In June of 1966, Harper Lee was one of two persons named by President Johnson to the National Council of Arts. Books, as we all know, have very short shelf lives these days. Most new books remain on bookstore display tables for only a few weeks, and on the shelves for a few months at best. When Oprah Winfrey chose Wally Lamb’s SHE’S COME UNDONE for her book club a while back, the publisher had to print a new edition of the book because it was absolutely unavailable. To obtain a book two years after publication is rare; for a book to be accessible forty years after it was first published is close to miraculous. TO KILL A MOCKINGBIRD is that rare book. Since its publication in 1960 it has never been out of print. And with good reason — it is one of the finest novels written in this century, and one of the most widely celebrated and read. And the question arises, from time to time, whatever happened to its author, Harper Lee? After she wrote the book, she dropped out of sight. She granted a few interviews in 1961 when the film was made, but since then very few people have seen her, and those who have, if asked, will politely change the subject. We do know that she was born and raised in Monroeville, Alabama, and that she lived next door to Truman Capote. They were childhood friends, and that friendship continued until his death in 1984. She traveled to Kansas with him to help him with his research when he was writing IN COLD BLOOD. We also know that Lee lives in New York, while her sister still lives in Monroeville. She visits her sister frequently and is sometimes seen having lunch or shopping at the local Piggly Wiggly. But no one can (or is willing) to talk about her. In an era when authors become instant celebrities, appearing on countless talk shows and at book readings and signings, she is an enigma. But I think we can learn a lot about her by reading TO KILL A MOCKINGBIRD. I think it is more autobiographical than we realize — I suspect that she is Scout, that Atticus Finch is her father, and that her dear friend Truman Capote is Dill. That is probably all she wants us to know, and all we need to know. There are other psalms of lament, but they usually find some expression of relief, even if only a verse. “But I put my trust in you, O Lord, and you will come to my aid.” Not so in Psalm 88. This is a cry of unbroken distress. No pious words of trust or hope soften the words of grief, accusation, anger, and questioning. There are many psalms that speak of the horrors of human suffering. Psalm 22, for example—”My God, my God, why have you forsaken me? *and are so far from my cry and from the words of my distress?” But like other psalms, it too employs some expression of hope, some commitment to praise. Psalm 22 changes tone after 20 verses, when the psalmist says, “I will declare your Name to my brethren; *in the midst of the congregation I will praise you.” Eight more verses of praise and hope then follow. No gentle encouragement. No “it’ll work out.” No “Take heart, God is with you.” This is the cry of unbroken misery. I’m glad we have Psalm 88. There are times and conditions that we experience as unmitigated sadness. There are circumstances that are hopeless. This Psalm stands to affirm that such expressions of grief are legitimate. It is not faithless to cry out in helpless and hopeless anguish. It is not wrong to place responsibility for such wrongs at the feet of God. And you don’t have to appease God with some word of piety, hope or praise. We can be completely honest toward God with our thoughts and feelings. And God is big enough to take it all. God won’t punish us for being hurt and angry, even hurt and angry at God. I wonder what happened when this poet finished his lament. 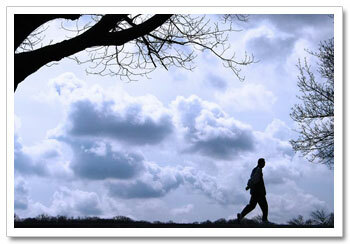 What happened when he moved into the silence after he uttered “darkness is my only companion”? I don’t know. But I’ll bet thousands of his descendants have prayed this Psalm with tears and somehow felt understood. Lowell is a native of Mississippi. He grew up in Oxford and went to college at the University of Mississippi, graduating in 1972. He worked in University administration for several years before going to law school. He left law school to enter seminary in 1976 graduating from the General Theological Seminary in 1980. He has served parishes in Mississippi and Arkansas, coming to St. Paul’s, Fayetteville in 1997. Please don’t hate Sting* because he’s rich–he was literally a ditch digger back in the day. A duplex apartment owned by Sting has just gone into contract. The 6,600-square-foot co-op in the Brentmore at 88 Central Park West, has been on and off the market since 2006. The place has been listed with Mark D. Friedman and Robert Cabrera at Halstead Property for about a year. The asking price was $19 million. The apartment, which was once owned by Billy Joel, has five bedrooms, four full bathrooms and 23 closets, according to the listing. I didn’t know that the Police hit “Roxanne” was banned by the BBC. The surest way to make someone filthy rich and famous is to ban their music, their art or their book–it backfires every time. Will somebody please ban Jitterbuggingforjesus.com??? Considered one of the most respected solo artists in music history as well as lead vocalist and band member of one of the most popular bands of all time, The Police, Sting has become an influential part of the music industry, as well as in social awareness causes. As a songwriter, vocalist and musician, the British artist is responsible for music that has spanned over 2 decades. Born Gordon Sumner on the 2nd of October 1951, the future musician was born and raised in Newcastle, the northeast of England. The son of Audrey, a hairdresser, and Eric, a milkman, the artist formerly known as Gordon received his introduction to music thanks to his mother. A classically trained pianist, Audrey Sumner taught her son the piano, an instrument which he mastered. Despite his piano skills, his true passion was guitar and jazz. After graduating from teacher’s college, working as an English teacher and soccer coach, and then as a ditch-digger, Sting followed his true calling and headed for London to pursue his dreams of becoming a professional musician. Once in London, he started off playing jazz and earned his moniker “Sting” by wearing a black and yellow jersey while performing. Sting joined guitarist Andy Summers and drummer Stewart Copeland to form The Police in 1977. The band had an instant hit single on their hands with “Roxanne”, a song about prostitution. The song became even more of a hit when it was banned by the BBC. While being the lead vocalist and bassist for the police, Sting had some independent projects in the works. He starred in the film Brimstone And Treacle; co-wrote “Money For Nothing” with the Dire Straits; and collaborated on Phil Collins’ album, No Jacket Required. 5 hit albums and a score of chart topping singles later, Sting decided to finally leave The Police in 1985. Following the success of the classic hit “Every Breath You Take” and the album, Synchronicity, Sting formed a jazz touring band called The Blue Turtles, including saxophone player Branford Marsalis. Although he left The Police at the height of their popularity, Sting proved that he could have the same kind of success as a solo artist. His first album, 1985’s The Dream of Blue Turtles, went platinum and provided listeners with a blend of jazz, funk, classical music, and reggae, which was very apparent in his music back in the days with the Police. In 1986, the concert album Bring On the Night was released, featuring members of The Blue Turtles Group. Nothing Like the Sun was released in 1987, and was dedicated to Sting’s mother, who had just passed away. The album spawned the funky-sounding single “We’ll Be Together”. Soul Cages, which was more autobiographical and this time dedicated to his father’s recent death, was released in 1991. The Soul Cages is one of Sting’s darker projects, but did spawn the hit “All This Time”. 1993 proved to be a big year for the musician. The album Ten Summoner’s Tales was released, went double platinum and spawned two hits (“If I Ever Lose My Faith In You” and “Fields of Gold”). The album also garnered a Grammy award for the single “If I Ever Lose My Faith In You”, for Engineered Album, and was nominated for Album of the Year. Sting also recorded the single “All For Love” with Rod Stewart and Bryan Adams, for the soundtrack to the film The Three Musketeers. One year later, the album Fields of Gold made its way to the music scene, a compilation of Sting’s hits, featuring two new singles. Although not as much of a success as Ten Summoner’s Tales, Mercury Falling, released in 1996, was still respected in its own right. The album, which blends a mix of different music genres such as country, jazz, rock, gospel, and soul, received a Grammy nomination for Best Pop Album and spawned a Grammy nominated song for Best Male Pop Vocal Performance for the single “Let Your Soul Be Your Pilot”. Brand New Day, Sting’s most recent musical installation, was hailed by Rolling Stone as “Sting’s most stylistically integrated album”, with a blend of Rai music (as heard on the single “Desert Rose”), bossa novas and country. Adding to his acting repertoire, Sting appeared in the films Dune, Stormy Monday and Plenty, and starred in the Broadway performance of The Threepenny Opera. When not in the recording studio or behind the camera, Sting’s work in the realm of social awareness has always been an important part of his life. He has performed for the charitable concert Live Aid (benefiting famine in Ethiopia) and other concerts to raise money for Amnesty International; helped found the Rainforest Foundation; and has strived to help preserve Brazilian territory. Sting’s other full-time job is husband to his wife of 8 years, Trudie Styler, and father to his 6 children (2 with his first wife, Frances Tomelty; 4 with Styler). 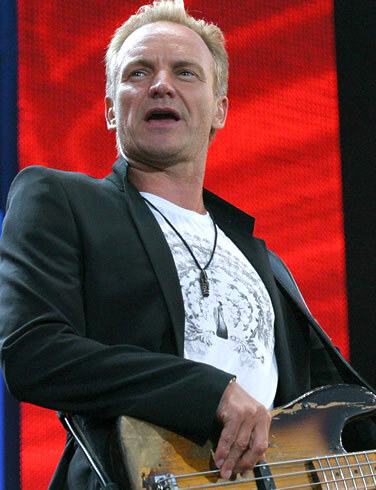 With forays into practically every musical genre; a slew of Grammy Award winning and nominated projects; collaborations with other musical greats such as Luciano Pavarotti, Eric Clapton and Stevie Wonder; and endless work for human rights and environmental causes, Sting remains one of the most respected artists in contemporary music, with every breath he takes. This man is right, and needs to stop making so much sense. A conservative Republican who makes sense these days runs counter to the conservative Republican line. And don’t look for him to get invited to have a show on Fox News like that former Guv of Arkansas or the Moosehead Party leader from Alaska. How many times have I pointed out at this blog that “Obamacare” is NOT socialized medicine. And how many times have I pointed out all the doctors I know, and work with, who, like Frist, were all for this reform. It’s one thing to be concerned about the costs, another to dismiss it as Marxist socialism. And yet all we hear in the media–and from talk radio and “Tea Party” folk and other paranoids is that it is “socialized medicine.” These are the same folks who told us the stock market would crash that Monday after health care reform passed, BTW. Go back and look at how the stock market has done since that Monday. In October, former Senate Majority Leader Bill Frist (R-TN) broke with his party to argue that health care reform “is not socialized medicine” and suggested that he could have voted for the bill. “You hear a lot of people on the extreme say that socialized medicine is going to come in and control everything. Socialized medicine is where the government owns the hospitals. They own the doctors and they decide how much people are getting paid. 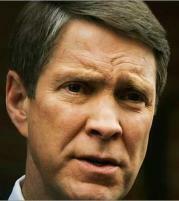 And that’s not what’s in these bills,” Frist told Washington Journal. Frist also praised President Obama’s second health summit, saying the President had “persuasive charisma” and “command of the subject.” “You have a president there who got his hands dirty, but still looked presidential,” Frist said. To my way of thinking, this thing we call “the soul” is a place of quietude and silence and peace and rest. Here are thoughts on silence and solitude from those who find or found holiness or solace in it. . . .